I have started a new routine with my family: Thursday Theology night. Since I have my new Logitech Prevue I was anxious to see how streaming Internet video looks on my large screen TV. My first go was with a video from the recent Desiring God pastor’s conference. The image and sound quality was far better than I expected. Now, in my home, we’ve slated Thursday nights for watching a good video that will be edifying for the whole family. These Thursday Theology Nights will be (hopefully) a new feature at Faith by Hearing. The video for tonight is an hour long documentary on Charles Spurgeon titled, C. H. Spurgeon, The People’s Preacher. There isn’t a whole lot of material on the life of Bishop J. C Ryle. 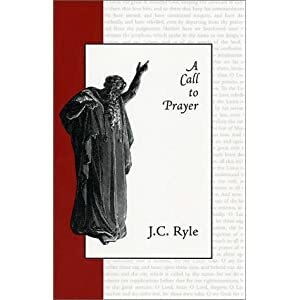 This biography of Ryle, by Bart Carlson of Grace Church, Downingtown, Pennsylvania, is a welcome voice on the life of this man who has greatly contributed to the church. What you may not know, is that Ryle was marginalized within the Anglican church for taking strong stands to preserve the Gospel. He was a simple, country preacher whose writings have been cherished by many Christians to this day, and are still in publication. Many are considered classics, such as Holiness, Thoughts for Young Men, A Call to Prayer, and his Expository Thoughts on the Gospels series. Bart Carlson has given us a wonderful biographical sketch of this impactful preacher. If you poke around Reformed circles you’re eventually going to hear about a man named Herman Bavinck. If you don’t know who he is, well, join the crowd. However, he seems to be a man worth knowing. 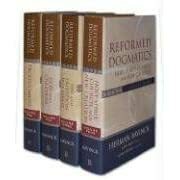 Herman Bavinck is a Dutch Reformed pastor of the late 19th, early 20th centuries, who wrote what many consider to be the best Reformed systematic theology in print. Bavinck is solid, balanced, and very well informed. Being Dutch, his works have not been translated into English until very recently, and hence, the new notariety for Bavinck. As one of the panelists said, even though he can read Dutch and wrestle through Bavinck’s work in Dutch, having it in English is a gold mine. Ron Gleason, pastor of Grace Presbyterian Church in Yorba Linda, California, and co-editor of the book Reformed or Conforming, is currently finishing a soon to be published biography of this man Herman Bavinck. His discussion with the folks at Christ the Center provides a very intriquing picture of this man and his work. The interview begins with Gleason talking about his work on the book Reformed or Conforming.